The Sunday talk shows showed a great deal of progress has been made in the national climate change conversation. The focus was clearly less on whether climate change is happening and more on what should we do about climate change. But the shows stumbled by booking the same type of guests from the science debate. It’s a lot to ask of science experts to prescribe policy and political solutions. Where were the solutions experts—Sen. Ed Markey, conservative climate activist and former Rep. Bob Inglis, and 350.org’s Bill McKibben? Considering the Sunday talk shows have rarely mentioned climate change at all in recent years, I hope we get a chance to hear that debate soon. Here’s why none of them got an A: Not one show mentioned the impacts of climate change on our wildlife, coastal habitats or public lands. Does America’s outdoor heritage matter inside the Beltway media bubble anymore? The hosts showed a clear geographical bias by focusing predominantly on the recent cold and winter storms in the East. But as Mashable’s Andrew Freedman has pointed out, the West has been just as warm as the East has been cold. Rebecca Jarvis of ABC News laid out the economic impacts of extreme winter weather, though she didn’t directly connect the dots to the cost of our inaction on climate change. Heidi Cullen, chief climatologist at Climate Central, masterfully laid out the case tying extreme weather to climate change, pointing out that despite recent cold in the East, the planet continues to cook (just look at Australia). But unfortunately host George Stephanopoulos immediately turned to climate science-denying North Carolina Gov. Pat McCrory and essentially said, so climate science—a total hoax, right? McCrory’s attempt at a joke about how a recent winter storm means climate change isn’t happening fell flat—bare streets behind him and McCrory’s own open winter coat gave away that it was 53 on Sunday in Raleigh with the high expected to hit 70 this week. McCrory also claimed he’s more focused on cleaning all of our environment rather than just carbon pollution, and my Twitter feed instantly blew up with people asking why McCrory didn’t take the chance to show his concern for the ongoing Dan River coal ash spill cleanup. The lack of a climate policy expert on the panel showed up when Stephanopoulos gave Cullen the chance to close with a call to action. Yes, energy efficiency, climate-smart farming, and water conservation are all important. But the biggest things we can do to right now to cut carbon pollution are to support strong Environmental Protection Agency limits on industrial carbon pollution and support national incentives for clean energy. A voice like Sen. Sheldon Whitehouse would’ve added a lot to the panel. Host Bob Schieffer welcomed Dr. Marshall Shepherd, past president of the American Meteorological Society and director of the University of Georgia’s atmospheric sciences program. Despite Schieffer’s stumbling But it’s winter where I am now introduction, Face the Nation producers smartly put Shepherd on first by himself, separating the science from the politics that would follow. Shepherd delivered the best scientific explanation and call to action of the morning, giving a clear, simple walk-through of the latest climate science, connecting the dots to the extreme weather we’re seeing, and making a direct case for confronting global warming now. My problem with Fox isn’t that it’s ideological or partisan—it’s that it’s ignorant. Surveys show that people who watch Fox are actually worse-informed than people who watch no news at all. Forget having a climate scientist or climate activist on—Fox’s panel didn’t include one person who so much as accepted climate science. Fox hosts like to talk tough, but how confident can they really be when voices for climate reality must be silenced? 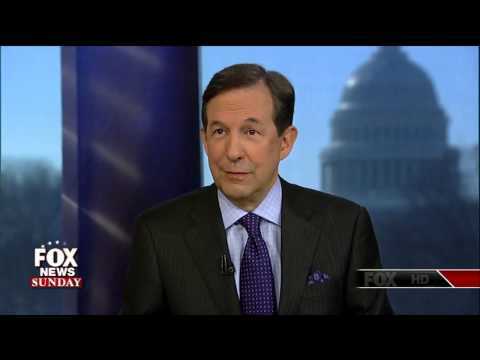 Host Chris Wallace declared that climate change must not be happening because it’s winter. Glad the show is on in the morning: if it was primetime, Wallace might’ve been telling viewers the sun had vanished, never to reappear. At least George Will made clear that he opposes climate science mainly because he hates President Obama. To Fox, our children’s future is just a partisan game. Meet the Press stumbled right out of the gate with a set-up piece featuring an interview with the Cato Institute’s Pat Michaels, who’s directly and lavishly funded by big polluters. You know who I felt bad for? The host, David Gregory. He asked the right questions and repeatedly tried to steer science educator Bill Nye and polluter-allied Rep. Marsha Blackburn towards a productive policy conversation. Gregory’s knuckles were gripping the wheel and steering into the skid like he was navigating a climate change-fueled oddball winter storm. But Gregory’s producers failed him in the guests they booked. While Gregory wanted to have the what should we do about it debate, he had been given is it happening guests. No matter how hard Gregory pushed Rep. Blackburn to talk solutions, she insistently backtracked to deny climate science. And when Gregory pressed Nye on politics, Nye was obviously out of his element – he’s The Science Guy. Gregory would’ve been much better served with guests like Senators Barbara Boxer and Susan Collins – from different sides of the aisle, but both embrace climate science and the need for action. Later, NBC News Political Director Chuck Todd went a step further and laid out the case for letting unlimited, unpriced industrial carbon pollution continue indefinitely. “[M]aybe you steer away from it and say, it doesn’t matter. We have to tackle this infrastructure problem. You got to build different higher seawalls in some places. We’re going to have to figure out a different way to distribute water in California.” I don’t know about you, but I don’t want our generation’s climate legacy to be nothing more than massive sea walls and thousand-mile water pipelines. Nye delivered what might’ve been the strongest and most lasting words of the entire morning when he threw aside the passive debate format to make a plea directly to Rep. Blackburn. What are your grades? Leave them here in the comments. You can also tell the shows what you think directly by going to Facebook, searching for the show’s page, and leaving your comments on the show’s wall.